The new budget smartphone runs on Qualcomm Snapdragon-powered processor and Android 7.1.2 Nougat out-of-the-box. The Panasonic P95 is priced at Rs 4,999 and is available in Blue, Gold and Dark Grey colour variants. 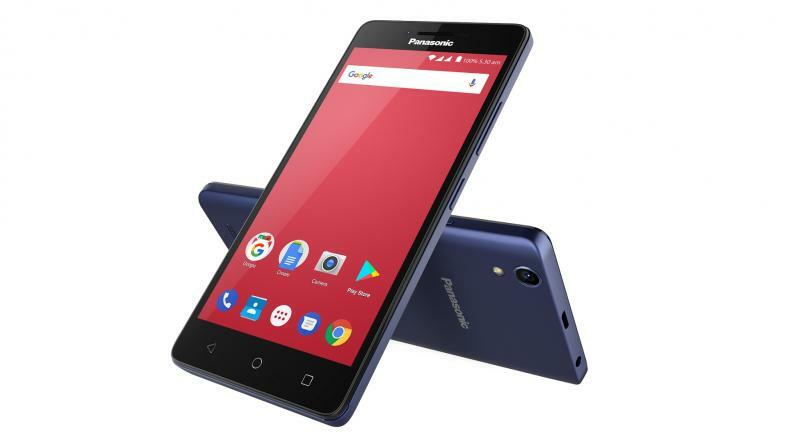 Panasonic has introduced a new budget smartphone – the P95. The company claims that the P95 is an affordable smartphone running on a Qualcomm Snapdragon chipset. The P95 features a 5-inch HD display and is built on a 1.3GHz quad-core Qualcomm Snapdragon processor followed by 1GB of RAM and 16GB of built-in storage. The device also supports microSD expansion up to 128GB. In terms of camera, the P95 features 8MP primary camera with AF and LED flash, while the front camera features 5MP sensor. Weighing around 164g, the P95 runs on Android 7.1.2 Nougat out-of-the-box and is fuelled by a 2300mAh battery. On the connectivity front, it supports Bluetooth 4.2, Wi-Fi and built-in FM Radio. This dual-SIM supported Panasonic P95 is priced at Rs 4,999 and is available in Blue, Gold and Dark Grey colour variants.